Panasonic has released a new video showcasing its Assist Robot technology. In the video you can see its so-called Assist Robots, many of which might also be referred to as robotic exoskeletons, helping in industry, in physical work tasks and in support of the elderly. The first Panasonic Assist Robot featured looks like it is designed for warehouse workers. The AWN-03, shown below, was especially developed to provide lower back support. 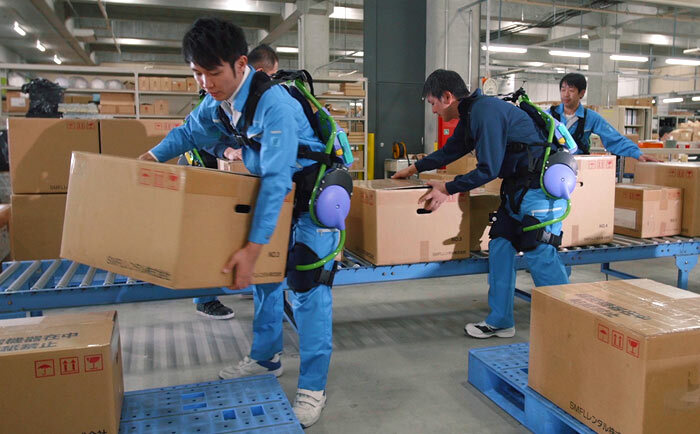 As you can see in the video the workers seem comfortable to use this robotic device to help them lift large, and possibly heavy boxes around a warehouse. According to Panasonic the AWN-03 automatically senses the user's motion when lifting and holding heavy objects, and sends a signal to the motors to rotate the gears. Its effect is to reduce stress on the user's lower back by 15Kg. The AWN-03 has a swappable rechargeable battery pack which lasts up to 8 hours, enough for a full work day. Panasonic's PLN-01 has the cool codename of 'The Ninja'. It is designed to the enhance the user's motion while walking and running, for instance hiking up steep mountain paths. At the moment it is a lower body enhancing exoskeleton only. An upper body enhancing companion is being developed by Panasonic which will give the wearer strength to lift and carry heavier items. The press release doesn't mention any shuriken firing mechanisms destined for The Ninja. 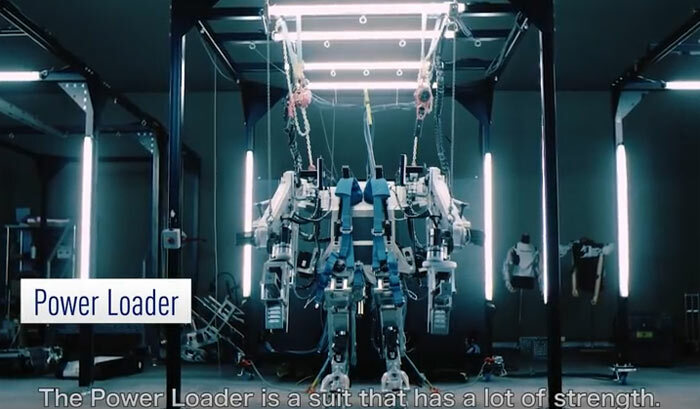 If you simply need more power than either of the above solutions, you might be interested in the aptly named Power Loader suit, pictured above. Panasonic sees this device as a great tool in disaster relief scenarios. It could also be of utility in public works and construction, think the designers. Last but not least Panasonic showed off Assist Robots for the elderly. These are different in not all being wearable/interactive with the elderly. Instead these Assist Robots may help the nursing staff in old people's homes, for example. Other devices for the elderly are more like robot limb powered household assistants, not wearables. I was thinking those exoskeletons would probably work better if they used the proper lifting technique in the first place;. they may not even need the exoskeleton to reduce lower back stress. I thought the same thing, they need Manual Handling Training not an exoskeleton!